This comprehensive code for homebuilding combines building, plumbing, mechanical, fuel gas, energy, and electrical provisions into a single resource. 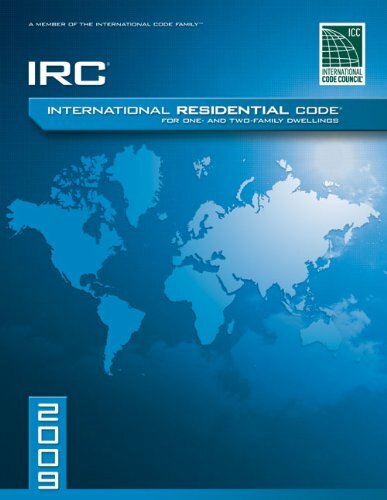 The 2009 International Residential Code For One- and Two- Family Dwellings uses these provisions to provide detailed insight into the construction of one- and two-family dwellings and townhouses up to three stories high. Using foundational principles that facilitate the use of new materials and building designs to guide the content, this reference guide also establishes minimum regulations using prescriptive provisions. Check out our app, DEWALT Mobile Pro™. This free app is a construction calculator with integrated reference materials and access to hundreds of additional calculations as add-ons. To learn more, visit dewalt.com/mobilepro.